Hey Inuyasha fans; got some more good news for you! Other than the series finally being concluded with the Final Act episodes, you can soon get your own Kagome figma figure ^_^. 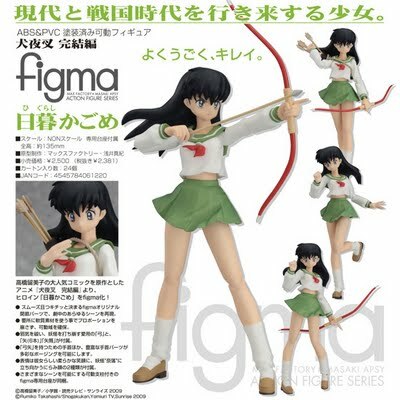 Yep, looks like Max factory has announced the production of a Kagome Figma figure. It's set to be released some time in April or May of this year. Pre-orders can be made here or you can email the store to reserve her. Nothing yet on other characters in the series but I'll keep you all informed.